As individuals age, the skin undergoes changes, such as irregular pigmentation, thinning and loss of elasticity, that are due to both genetic and environmental factors. These changes may worsen, progressing to precancerous and cancerous diseases. Various medical treatments and topical cosmeceuticals have been used to treat some symptoms of photoaging, however, the results have been less than satisfactory. Mesenchymal stem cells within the stromal-vascular fraction of subcutaneous adipose tissue, adipose-derived stem cells (ADSCs), display multi-lineage developmental plasticity and secrete various growth factors that control and manage the damaged neighboring cells. 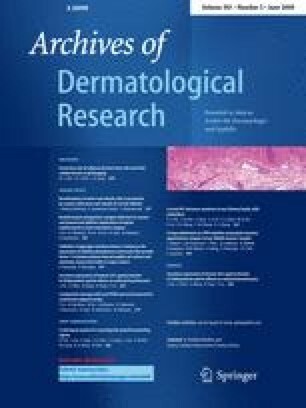 Recently, the production and secretion of growth factors has been reported as an essential function of ADSCs, and diverse regenerative effects of ADSCs have been demonstrated in the skin. For example, conditioned medium from ADSCs (ADSC-CM) stimulated both collagen synthesis and migration of dermal fibroblasts, which improved the wrinkling and accelerated wound healing in animal models. ADSC-CM also inhibited melanogenesis in B16 melanoma cells, and protected dermal fibroblasts from oxidative stress induced by chemicals and UVB irradiation. Therefore, ADSCs and soluble factors show promise for the treatment of photoaging, and this review introduces recent research developments of the ADSCs and ADSC-derived secretory factors regarding this issue. This study was supported by a grant from Ministry of Knowledge Economy of Korea (0801DG10141).